Slack App Security is designed to determine those elements that are accessible to Users in a Slack Channel. It affects the ability to find, view and share the element with other Users in a Slack channel. 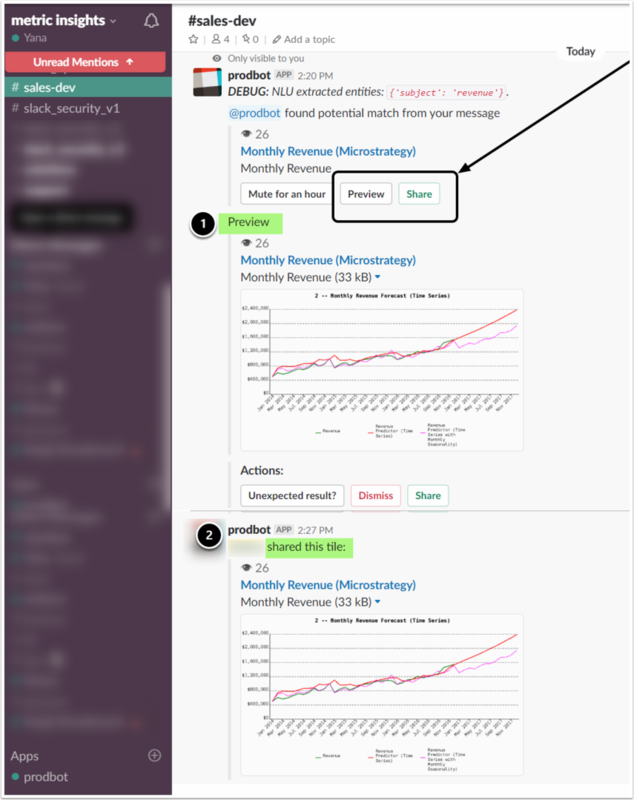 A Slack Channel access to elements is determined by Group access in Metric Insights. The Channel will have the same access as an associated Group or Groups. A Regular or Power User may be invited to a Slack Channel. 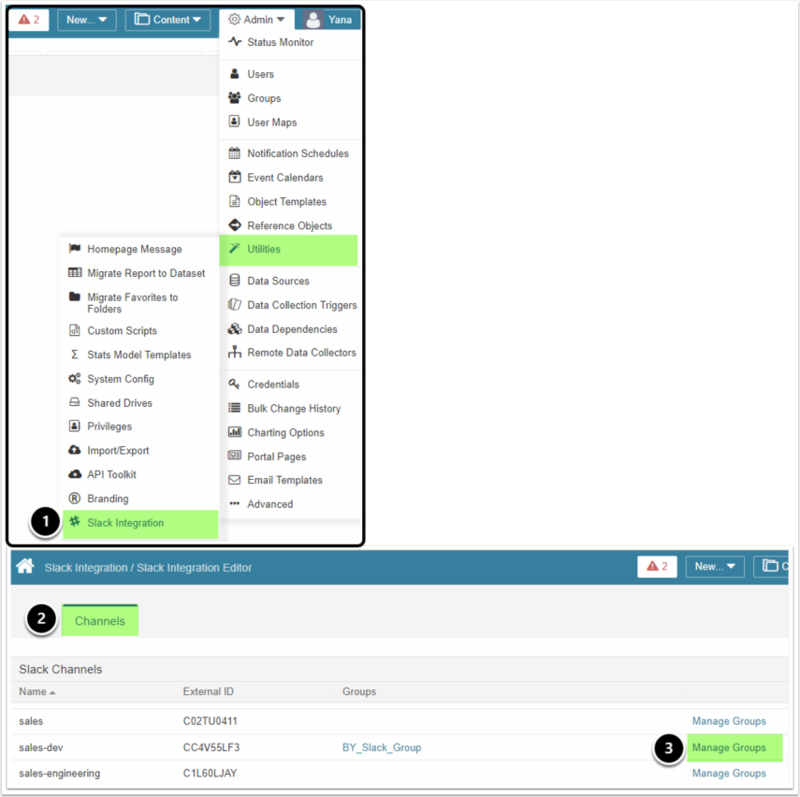 Each individual user's access to elements to the Channel is limited by Group(s) to which the user belongs. The available access options are described below. If the User does not have at least View Access to the element, it will not be shown to them in a Slack Channel, even if the Channel has access to this element. 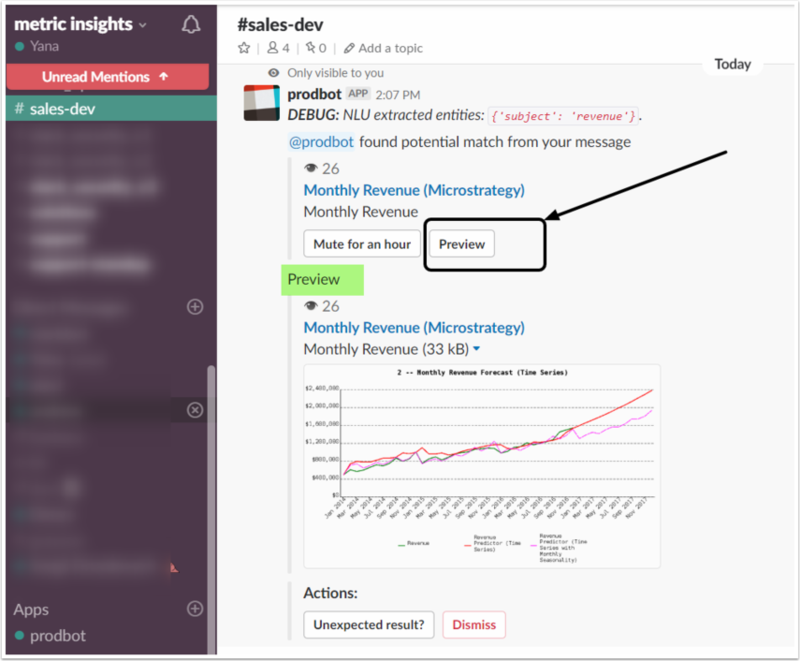 When a PU or RU has at least View Access to an element, they will be able to search this element via the Slack app and Preview this element when a match is found. If any of the access permissions change, run the !sync command in Direct Messaging with the Slack app to make those updates effective and force refetch data from the MI Instance. Usermap security is not supported in Release 5.3.2.